MacFarland Painting provides a frustration free experience to our customers by delivering on our promises and exceeding expectations. We pledge to blend time honored principles like honesty, integrity and hard work with cutting edge products and the newest technology. We accept nothing but the best job- EVERY JOB! Since 1986 we’ve been helping Michigan homeowners beautify and protect their homes by providing the highest quality residential painting services. 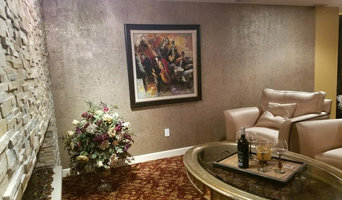 If you need 2 story family rooms, living rooms, kitchens or any other painting, drywall repairs or wallpaper removal, deck refinishing, our painters have the years of experience and the right tools to get the job done. Welcome to Armor Tough Coatings, LLC, we are a fast growing local painting company offering a wide range of services to homeowners and business owners, large and small. 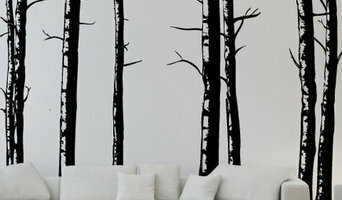 We service both interiors and exteriors. 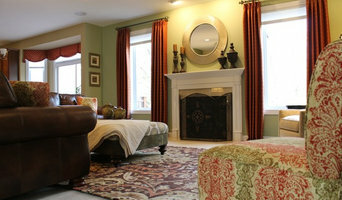 We have over a decade of experience in the residential and industrial painting field. We believe in prompt service, and offering the highest quality of work and professionalism from start to finish. We guarantee our workmanship as a painting contractor. When we paint your house, apartment, commercial or industrial building or equipment, we guarantee our painting meets or exceeds, the painting industry standards. We pride ourselves on the providing highest quality of work, with integrity. As a result you receive the most professional services available. Our many years of experience in the industry, as well as our skill, safety, and accountability are some of the many strengths we bring to the job. Top Tier Interior/Exterior Painting Company in Southeast Michigan. Experience. Exceptional Finishing. Exceptional Customer Service. 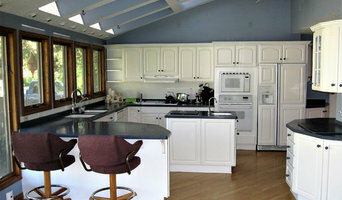 Specializing in 'No Hassle' Home Improvements Rick Hartsell founded Somerset Painting in 1985. “As a frustrated homeowner, I was tearing my hair out trying to find honest, reliable contractors.” His solution? “I started my own company based on hassle-free service. That meant taking personal responsibility for every aspect of a job.” From the start, Rick’s painting clients “kept asking for other services.” In response, he expanded to include windows, siding, masonry and more. Crews now handle virtually all residential or commercial work, from repairs to entire additions. To reflect this growth, Somerset added the words Home Improvements to their name. But the original promise of “hassle-free service” will never change. Midwest Painting Co. has been in business serving southeast Michigan for 11 years. We are insured, licensed, under warranty, and are members of our local Chamber of Commerce. We only hire full-time professional painters, not part-timers or college kids. We offer an itemized estimating system by providing homeowners with a pricing grid for their projects so that each area is listed, that way customers are able to choose which package best works for them! We have designated customer services reps available to all of our clients -- 24/7! Feel free to contact us today! We are a full service residential and commercial painting company, performing interior and exterior painting, deck staining, carpentry and drywall repair, color consulting, and power-washing. Our workers are career painters and experienced craftsmen who take great pride in their work and customer care. We look forward to serving you! We recognize that home and business painting is not an everyday occurrence for you. There is education and preparation that needs to occur so your project goes smoothly and according to your expectations. We do this through a process of communication and education so we can co-create the best possible painting experience with you. We call this the Certainty Service System. At CertaPro, you'll never be surprised. You can be assured that we will always deliver superior service that is on time and on budget. We are a company with a culture of respect. Respect for our employees. Respect for the environment. And most important, respect for you, our customers. 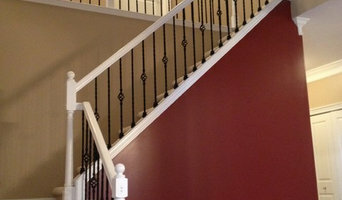 We are a premier painting company catering to your specific needs with professionalism and ease. A little about us... We are Elegance Painting, your first stop to bringing the beauty of interior design, and paint to your home or business. Our team is dedicated to exceeding every expectation you have on the beautification of your living space or business. We offer free estimates where we will cover every detail and assure you that your satisfaction is our utmost priority. Our painters will treat your home with the same respect that you would, and it will be returned to you immaculately cleaned and beautifully painted. We are so confident in our performance, that no upfront payment or deposit is due. You only pay after you are 100% confident that we have done everything we can to satisfy you. We look forward to hearing from you. Просматривайте каталоги профессиональных маляров и экспертов в области отделочных работ, таких как поклейка обоев, штукатурка и покраска стен и потолков в городе Garden City, MI на Houzz.ru: читайте отзывы предыдущих клиентов, находите информацию о ценах и предоставляемых скидках и легко связывайтесь с понравившимися вам фирмами и частными специалистами.